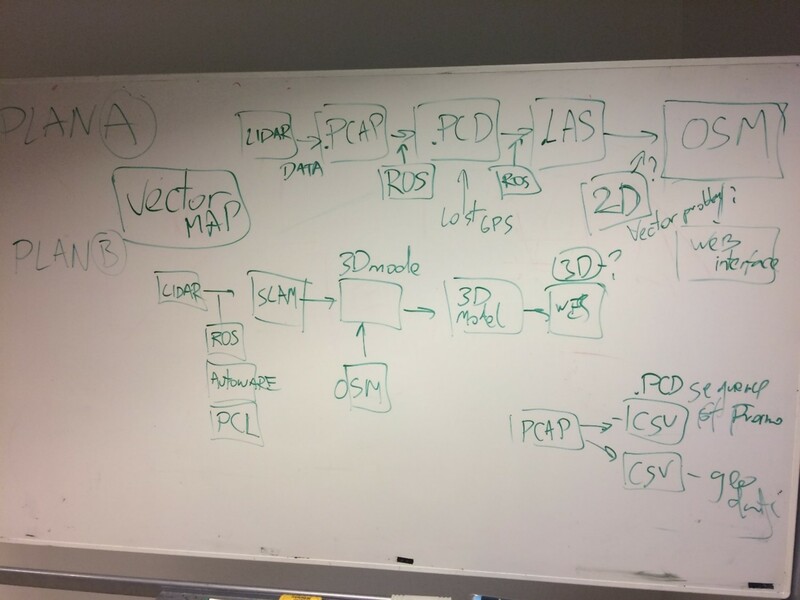 Goal during 2 days of Baltic Open (Geo)Data Hackathon were creating of working prototype of cloud based service “Drivenet Maps”- place where to merge LIDAR point cloud data with navigation map. 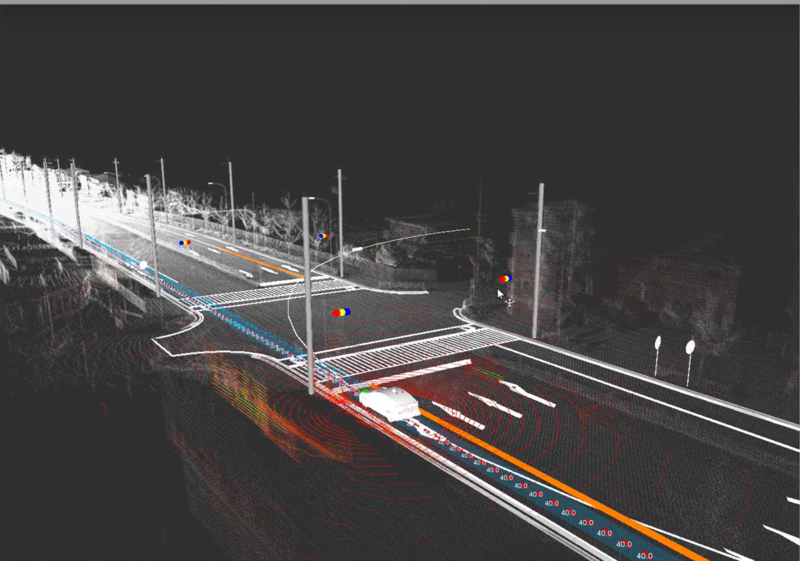 To create cloud server of Open Street Map (OSM), import LIDAR point cloud data and create 3D editable (to add road marks) layer fro point cloud data. To create server based on Robot Operating System (ROS), to import OSM layer, convert LIDAR point cloud using SLAM, merge together and provide web interface to access from web. 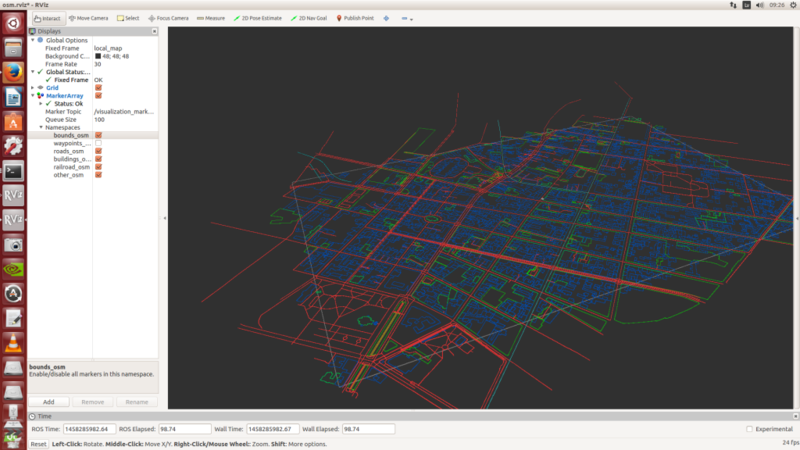 Open Street Map support .las format of data to be imported. It is possible to convert. pcap to .pcd and later to .las using ROS. However we succeed to create sequence of .pcd files without geo referenced data. It was possible to import data frame by frame, but difficult to arrange them to map using GPS coordinates. Task seems to be outside of 2 days development time of hackathon, so we turned to PLAN B. PLAN B development – We use desktop high end server with Nvidia GPU’s, Ubuntu 14.04, ROS Indigo and Autoware. In the “displays” panel, click “Add”, then select “Point Cloud2”, then press “OK”. We tried both . bag and .pcap data files, but ended up with lack of IMU / GPS data for frames, so SLAM is building all cloud point frames @ one point. LIDAR data capture should be done by ROS -.bag by including different tracks for LIDAR point cloud and NMEA GPS data from IMU to use SLAM for 3D map creation. 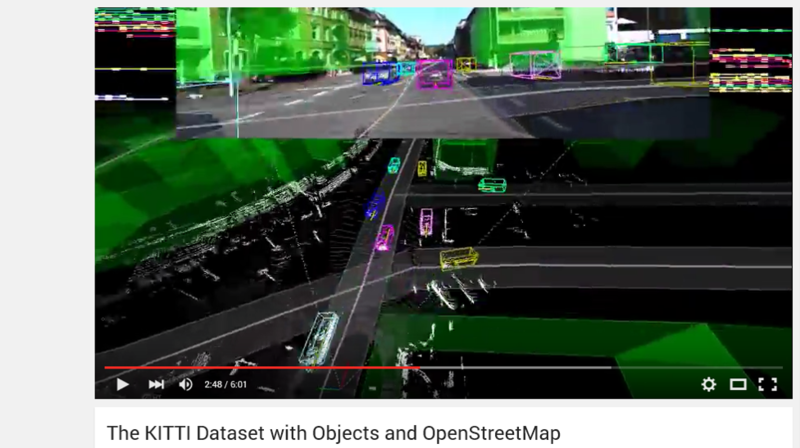 There is a solid and exponentially growing market need for opensource / opendata maps for autonomous driving, so Drivenet Maps should be further developed by academic / private partnership. Nice, it will be nice, if you will inform us about future progress.